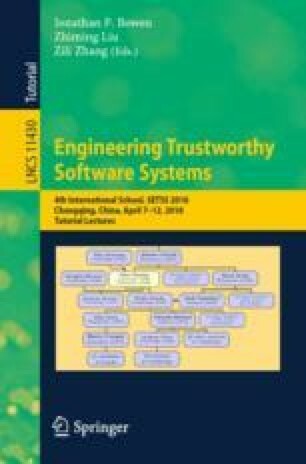 This tutorial introduces the basic ideas of software specification and verification, which are important techniques for assuring the quality of software and eliminating common kinds of errors such as buffer overflow. The tutorial takes a practical hands-on approach using the Whiley language and its verifying compiler. This verifying compiler uses an automated proof engine to try to prove that the code will execute without errors and will satisfy its specifications. Each section of the tutorial includes exercises that can be checked using the online Whiley Labs website. Thanks to all the students and researchers who have contributed to the development of Whiley. The slides used to present this tutorial at SETSS were based on David Pearce’s slides for the SWEN224 (Software Correctness) course at Victoria University of Wellington, 2015-2016. Thanks to the students of those classes for their feedback and comments. Thanks to Professor Zhiming LIU for organising SETSS 2018. This appendix gives sample solutions to the exercises that cannot be checked using the online Whiley Labs website.